Unlike most of their countrymen who prefer to watch movies in their respective regional language and occasionally in English, people in the four southern states of Andhra Pradesh, Karnataka, Kerala and Tamil Nadu like to watch a good movie—be it in Tamil, Hindi, English, Telugu, Malayalam or Kannada. It is this phenomenon that has made south India, which houses 40% of the 12,000-plus screens that the country has—develop into a Rs 3,000-crore market—the money that the people in the region spend in a year to watch movies in theatres. This explains why the average occupancy rates here are 30% to 40% higher than other parts of the country. Inox that recently opened its Chennai multiplex boasts of an average occupancy at 86% on a weekday and 95% over the weekends, highest among all its properties across the country. 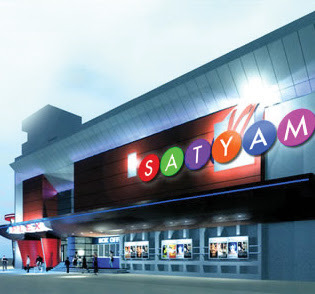 Sathyam Cinemas too is expanding. In fact, it is expanding only in the South and will add 51 screens soon—27 in Chennai, 12 in Coimbatore and 12 in Hyderabad, according to Kiran Reddy, managing director, Sathyam Cinemas. “Discussions are on for building screens in all major cities in Andhra Pradesh and Tamil Nadu,” he adds.